Nigerians subscribing to MMM may have to wait a month longer to get their refunds or compensation which they have been eagerly awaiting to celebrate Christmas and New Year festivities. 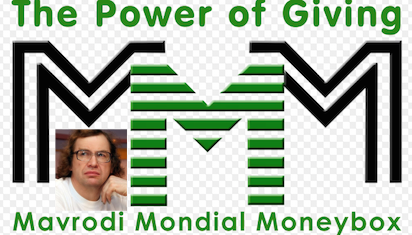 MMM took the decision barely 24 hours after its founder, Sergey Mavrodi, wrote to Nigeria, criticising the later’s constant attacks on the ponzi scheme. The one month deferment to pay Nigerians is an apparent indication that MMM Nigeria has crashed. The administrators of the scheme, early Tuesday, announced freezing of participants’ monies for one month. In a letter posted on the scheme’s website, MMM said; “As usual, in the New Year season, the System is experiencing heavy workload. Confirming the severity of constant attacks on the controversial scheme, the statement said “moreover, it has to deal with the constant frenzy provoked by the authorities in the mass media. “Hence, on the basis of the above mentioned, from now on all confirmed Mavro will be frozen for a month”, the statement partly reads. Mavro is the general name used to describe participants’ money in the system. By implication, over three million Nigerian participants as claimed by the founder, Mavrodi, who were planning to withdraw their money ahead of the yuletide season will have to wait for one month. Recall that similar scenario had played out in Zimbabwe and South Africa, where participants money were frozen for certain period, pausing the system, only to return with new adjustment in its terms.